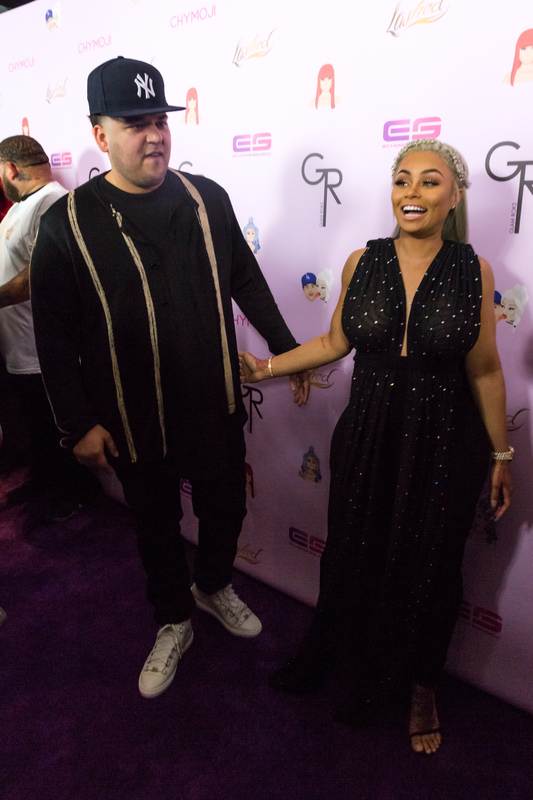 Only a few weeks into a brand-new reality show and a Kardashian royal baby on the way, and here we are with another rumor that Rob Kardashian and Blac Chyna have broken up. But is it for real this time? The details aren't very clear, as they do seem sudden and super questionable. According to TMZ, Kylie Jenner was reportedly planning a baby shower for her brother — one without Chyna, that is. Kardashian allegedly saw this as a completely disrespectful move, and took to Twitter to let everyone know it. (This all reportedly went down on Monday, by the way.) The site also claims that Jenner had a motive to throw a non-Chyna shower, and it surprisingly has nothing to do with her man (and Chyna's ex), Tyga. Bustle has reached out to reps for Chyna and Kardashian in regards to the report, but has not yet received a response. Allegedly, Kardashian and his fiancée haven't spoken in months — yes, they allegedly broke up months ago — and "briefly reunited" for dinner before the premiere of Rob & Blac. That's a pretty confusing claim when their social media accounts suggest otherwise. Not only do they post lovey-dovey photos and Snapchats all the time, but they were iiterally together a week ago on that YouTube promo grind. Huh? This conflicting information raises the question: If these two did mysteriously break up, when could they possibly have done it? The two are expecting their baby girl next month, not to mention, we've already seen these rumors nearly every other week for the last few months. Either they really have been putting on a show for us, on and off TV, or these rumors are just rumors to make sense of a confusing sibling feud. If you check in with the Kardashian-Jenner sisters on social media, they're continuing business as usual with no attention given to the matter. But, again, all seems suspect since Chyna posted this date night photo of her and Kardashian just two weeks ago... Get it together, guys.